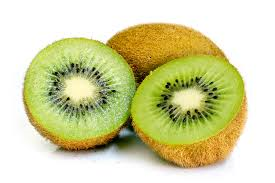 Green Italian Kiwi. Enjoyed as a whole fruit by simply cutting off the top and scooping out. Add to your fruit salads for a totally tropical taste!